I have 4 children and also have my share of stretch marks. 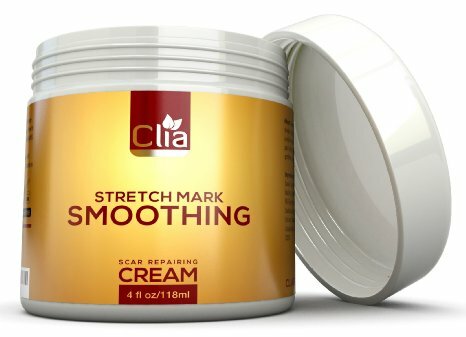 I recently received Stretch Mark Smoothing Cream to try out. In just a short time the color is fading and the stretch marks are filling in at the edges. I know with continued use the results will be even better. This will work on scars as well. This cream contains powerful ingredients , Vitamin E , Cocoa Butter, and Coconut Oil. There is no other moisturizer, therapy, or lotion that exceeds the strength of Clia's Stretch Mark Cream. (Do not use this over a chemical peel or other skin cell tissue removers) This also prevents new stretch marks from forming, safe to use during pregnancy. This is a great product, not only for women, men get stretch marks and scars too.